One of the great things about PC gaming being a truly global community is that I get the chance to play games developed around the globe. Part of what attracted me to E.T. 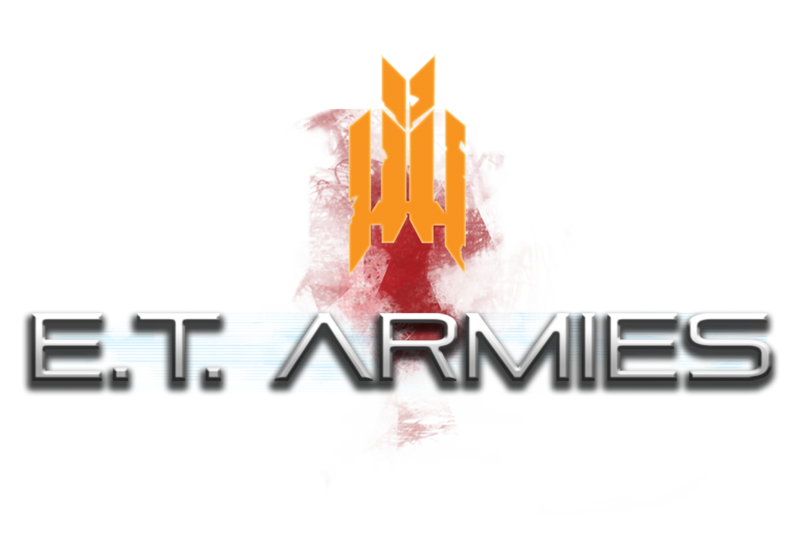 Armies is that it was developed by an Iranian studio, which is extremely rare to find even in this environment of wide-reaching internet and digital distribution. I can't actually name any other Iranian developers. Even more interesting is that it's seemingly developed for a Western audience; it's a sci-fi military FPS all spoken in English and evoking a lot of the tropes of the genre. At the time of review, it doesn't even have an option for Persian dialog or subtitles. So how does it compare to its contemporaries? Not well. E.T. Armies is a sci-fi military FPS, set in a post-Earth world. War and energy greed have ravaged Earth to the point that it had to be abandoned. Not everyone made it off the planet, separating humanity into the Parsis and the Forsaken. You are Aria, a Parsis soldier whose dropship has been shot down over an unnamed planet. You and your squad must fight off a resurgent, invading Forsaken force. E.T. Armies is an indie FPS built on the Unreal engine. Its design is not particularly inspired, but it works and it looks okay. A bit dated and bit too much colored lighting and effects, but it's got a consistent look. Weaponry is strictly your military FPS standards: three flavors of assault rifle, shotgun, sniper rifle. There are weapon turrets and a situational fire support that you can use against bigger flying enemies. It's all perfectly functional. You can kind of tell here that there's an okay looking game somewhere underneath all of the colored lighting and effects. Somewhere. If perfectly functional doesn't sound exciting, though, it's because it's not. The game is a lot of running down overly colorful, but still dark, corridors and shooting mostly brainless enemies in an utterly linear fashion. There's a jump button, but I never found a use for it because I couldn't even clear seemingly waist-high obstacles. The story is pretty nonexistent with the exception of a couple cutscenes, so there's not much driving you forward except to get to the end of it. 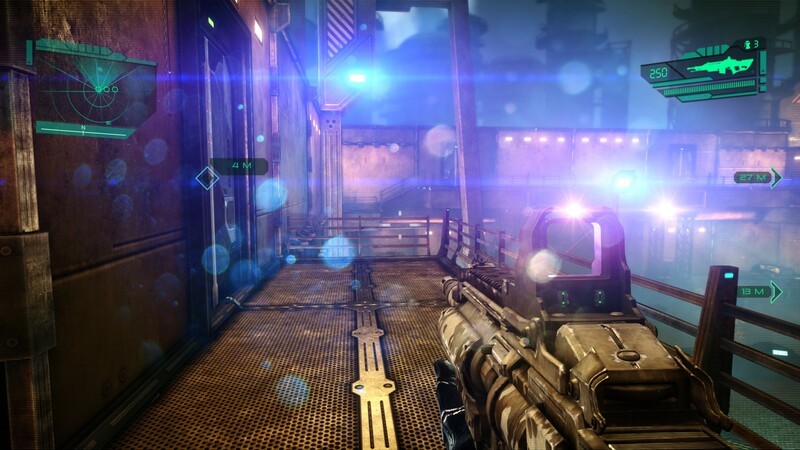 It all feels very 2000's era FPS. However, where it commits its worst offenses is in the sound department. The weapon sounds are weak, the music is uninspired, and voice work is all dreadfully bad. I would chalk up it up to the language difference, but there is no option to hear the voiceovers in Persian. They're all in awfully delivered English. This is an instance in which I would rather hear the lines delivered in the developer's native language, even if it means I couldn't tell whether or not the voicework is any better in another language. E.T. Armies appears to be Raspina's first FPS, and it feels like it was a learning experience. They got a lot accomplished emulating older FPS games. Now they have to fix the sound quality, and spice up the gameplay to make something really enjoyable for 2016. Unfortunately, as it stands, E.T. Armies isn't very good and it has a lot to improve upon.